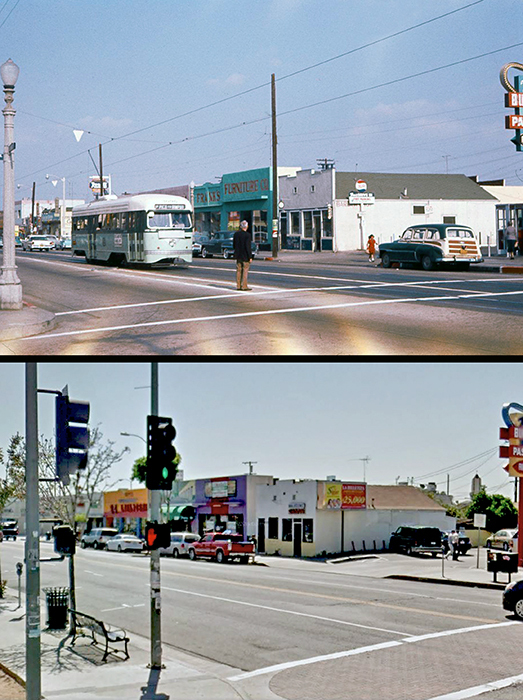 Then and now: The corner of East 1st and Hicks streets, c. 1960 and today. Tom’s Burger (far left) is at 3556 East 1st Street. The building that used to be Frank’s Furniture Co. is now Chalia’s Express Nutritional at 3578 E. 1st St.